If you love the dense, creamy taste of clam chowder but would rather pass on the seafood, this chowder is for you. 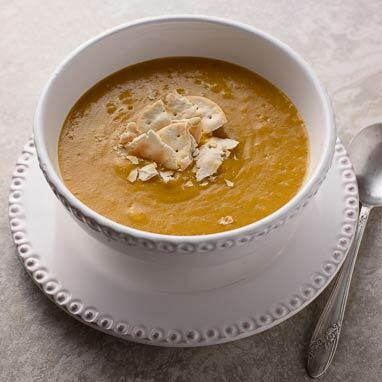 Vegetable broth is thickened with red potatoes, zucchini, and carrots for a flavorful, yet light chowder that can be enjoyed without worrying about calories. Minced garlic and chili powder give this chowder a flavor like no other vegetable soup you’ve ever seen.